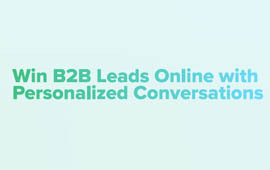 Chatbots are becoming increasingly popular–almost ubiquitous–on B2C retail websites, but B2B sellers have been reluctant to leverage chatbot technology to help acquire leads and convert them to customers. But modern conversational chatbots can help companies engage prospects with personalized, contextual information at scale. Chatbots leverage visitor data to deliver relevant information that guides the buyer’s research without an overt sales pitch. 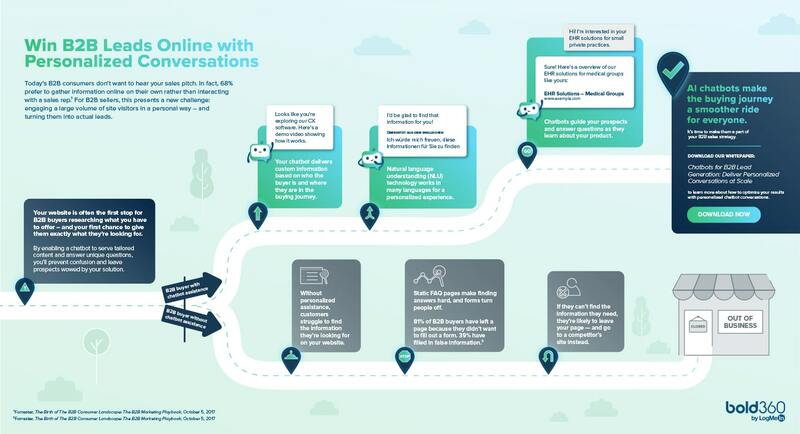 Download this infographic to see the difference chatbots can make in the B2B buying journey.